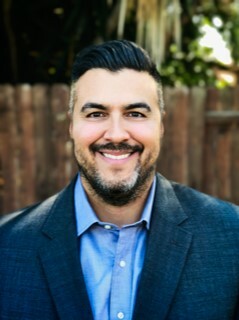 Effective immediately, Alfonso “Al” Ortiz III has been named Vice President of Rely On Technologies Inc., serving as executive leadership alongside founding President Alfonso Ortiz, Jr.
Al credits his career to successes to growing up in a family business surrounded by hard work and dedication to client satisfaction. Starting as a part-time graphic designer at 19, Al grew into permit processing, and later account management. Today, Al serves as Rely On’s top salesman and project director—much owed to his experience working from all angles at Rely On. Al brings a wealth of experience to automotive and industrial capital investment system installations, including paint booths, ovens, and powder coating lines. Al is known for his “hands-on” approach that ultimately leads to client satisfaction by overseeing all projects from start to finish, always available on location. Further, Al markets Rely On, as well as the success of his clients, at notable shows including SEMA, NACE, NADA, FABTECH, AERODEF, and the recent Space Show in Pasadena, CA, to name a few. With the growth of social media in recent years, Al has spearheaded bringing Rely On into the twenty-first century with keeping relyonusa.com website up to date, streaming job installations online, assembling portfolios with professional photography, and updating prospective and current clients with monthly articles on the website. A native of Southern California, Al enjoys working outside of Rely On in graphic design and video editing, skillsets he now brings into his everyday work. He currently resides in Huntington Beach, CA, with his wife Jaime and their sons Jackson and Lincoln. Please join us in congratulating Al Ortiz III on his elevation! We look forward to seeing him lead Rely On into the next 45 years of its history.